What is a Dog Park and why do we need one? To establish an off-leash dog park where dogs and their (owners/friends) have a safe, well-maintained area for recreation and socialization. To promote responsible canine care to Boyne area citizens and visitors who will uphold the park’s rules. To respond to the needs of a significant portion of the Boyne area population for a vibrant, play location for pets. The Ridge Run Dog Park is viewed as a canine complement to the town’s existing public parks. 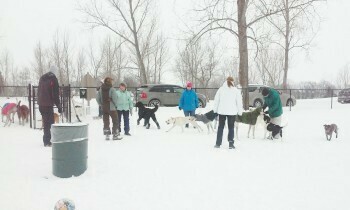 A dedicated committee has been hard at work to bring this dog park to fruition in Boyne City. They have received an overwhelming amount of support and encouragement that reinforces the committee's efforts and recommendation that this is a positive project for the community. The committee has also been dedicated to raising the funds needed to make it happen. Phase I is complete and the park is open to the public. The fencing has been installed for both the small and large dog area. Water lines have been run and drinking fountains will be installed in the spring. There have been many generous donations if money, materials and in kind services to make this happen. On tap for spring will be shade pavilions, landscaping, picnic tables, benches and maybe even new agility equipment and a fitness track. Donations and sponsorships are currently being accepted to make these additions to the park possible. When it is all done it will be a great place for dogs, their owners and dog lovers to congregate, socialize and exercise. To transform this unused, unmanicured piece of property and make it something the community can use and be proud of. 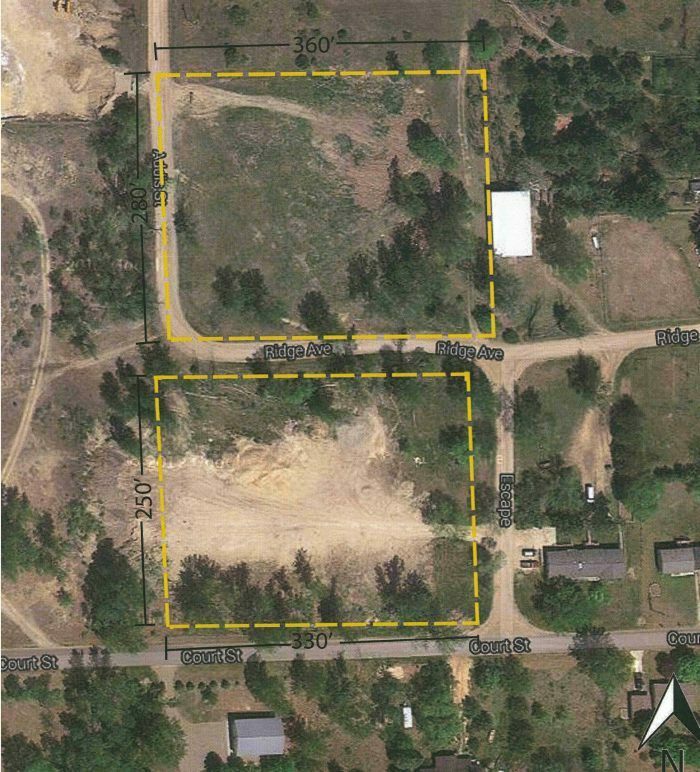 The pictures to the right shows the vacant land before the dog park and a proposed concept of the full build-out. 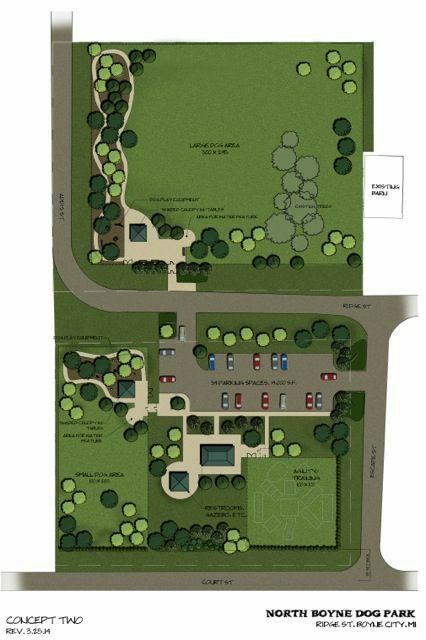 Click on the file below to read more about the proposed dog park, where the idea came from, its location, and committee.